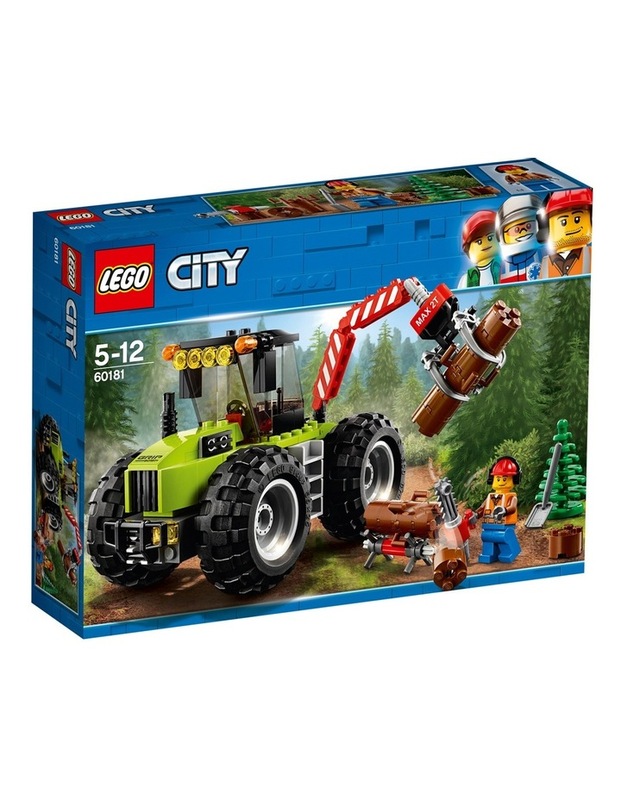 Includes a forest worker minifigure. 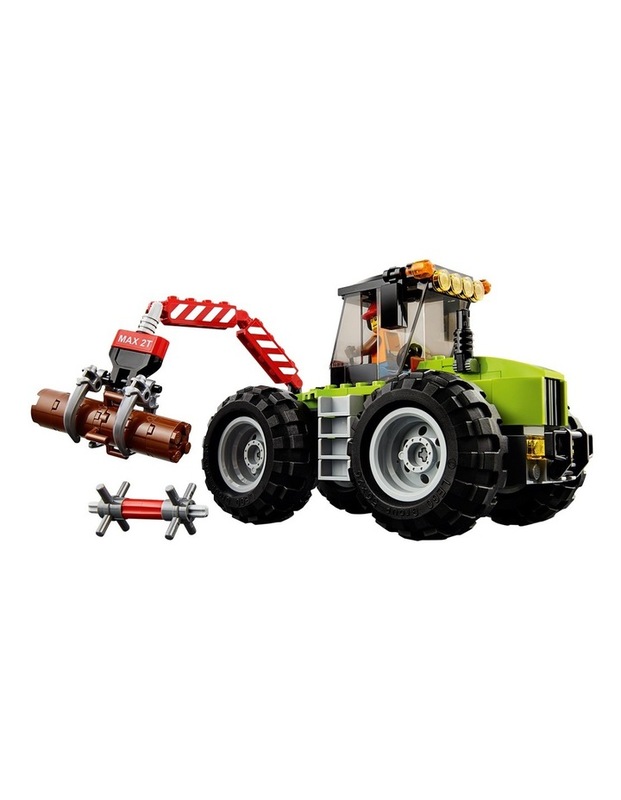 Features a Forest Tractor with massive wheels and arm with an opening claw, 2 chains, plus a small buildable log stand. Pick up the logs with the tractor claw to move them around. Cut the logs to the right length in the stand with the chainsaw. 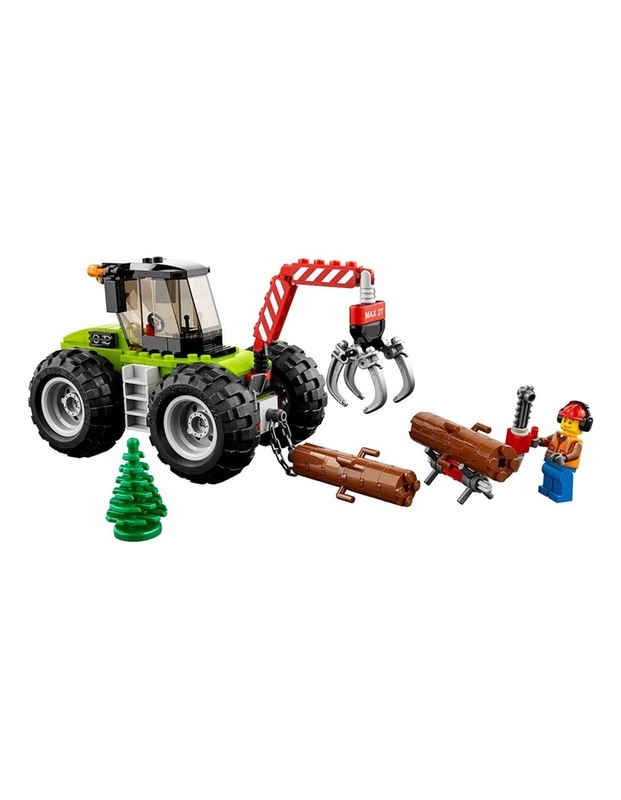 Accessory elements include a chainsaw, shovel, small pine tree and 2 buildable logs. This cool toy for kids is suitable for ages 5-12. Forest Tractor measures over 3 (10cm) high, 7 (19cm) long and 3 (9cm) wide. Log stand measures over 1 (4cm) wide and under 1 (2cm) high and 1 (2cm) deep. Logs each measure over 1 (6cm) long and under 1 (2cm) high and 1 (1cm) deep. Pine tree measures over 1 (4cm) high and under 1 (2cm) wide and 1 (2cm) deep.